Just as Jesus died to sin, we also died to sin. 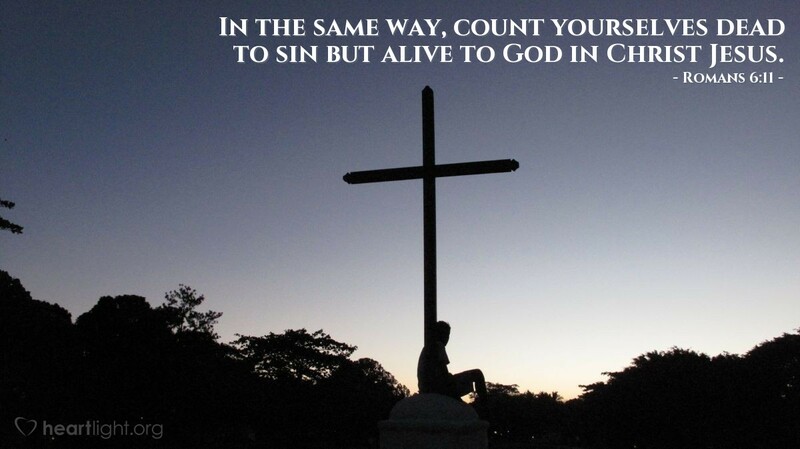 But, simply putting aside sin isn't going to keep sin away from us. We must embrace Jesus' new life for us every day, with our hearts open to the Lord's exciting will for us. Let's let what is dead remain buried and in the past. Let's live passionately for God with our eyes focused on Jesus and his future for us. Sovereign Lord and Loving Father, I want the past life of sin to remain buried and dead. Please empower me to vibrant life that is full of your Spirit and always open to your leading. Please make your presence and your will plain to me. In Jesus' name I ask it. Amen.